The DVM8500 can be controlled in 4 ways; Serial (RS-232), Ethernet, Discrete Inputs, and the front-panel menu interface. Solution: Use AMI Terminal software to control the DVM8500. Retrieve the version of the unit using the software and if you get a response, then connectivity is good. You can also try controlling other functions of the unit. Try a different USB to serial adapter. Check that the syntax of the commands you send are correct. Possible Causes: Device on a different network or subnet, duplicate IP address, loose connection, or bad cable. Solution: Check that the settings (IP, Subnet mask, and gateway) are correct using the front panel knob. Make sure that the green and orange LED lights in the Ethernet port light up. Ping the DVM8500 using Windows command prompt or another third-party pinging utility. Unplug the DVM8500 and ping the unit, if you receive a response then you have a duplicate IP issue. Try using AMI Terminal to control the DVM8500 after confirming the network settings. C) Discrete Inputs – The DVM8500 can be triggered using the 8 digital inputs located on the back on the unit. The inputs must be set to the correct type (Voltage or contact) using AMI terminal. Possible Causes: Input not set to the correct type (voltage or contact closure). Insufficient voltage when operating in voltage mode. Improperly named file (i.e. file number doesn’t match input number). Solution: If using voltage mode, make sure that you use at least 12VDC to activate the input. Consider using 24VDC for longer cable runs. If using contact closure mode, make sure that no voltage is being applied to the input. Refer to page 38 of the DVM8500 User’s Guide for more details. Follow the “My video does not play” section of this guide. D) Front panel knob – The DVM8500 can also be controlled with the front panel knob. Solution: Upgrade firmware. Follow the “My video does not play” article.  If knob is not responding the unit will need to come back for repair to Alcorn McBride.